Take part in the Health Startup Industry Research 2019 and win a ticket to HIMSS! 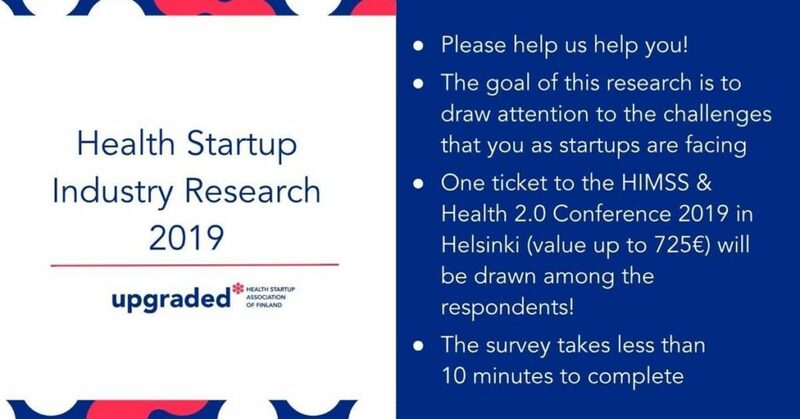 Take part in the Health Startup Industry Research 2019 and help us help you! The goal of this survey is to draw attention to the challenges that you as startups are facing, in order to develop the ecosystem to provide better support. Each individual response is extremely valuable. One ticket to the HIMSS & Health 2.0 Conference 2019 in Helsinki (value up to 725€) will be drawn among the respondents! The survey takes less than 10 minutes to complete, and it will be open until 31.3.2019. Your answers will be processed anonymously, without disclosing any confidential information about your company that would make it identifiable. 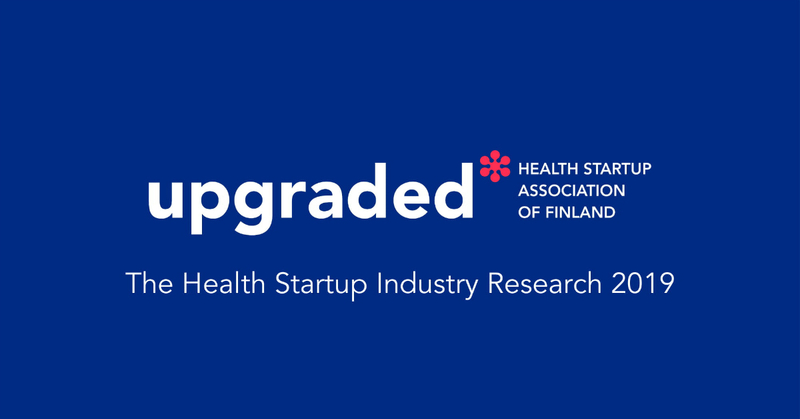 The results will be published in The Finnish Health Startup Industry Report 2019, which will serve as a guide for developing the ecosystem and draw more attention to the industry.